"100 Afghanis." Digital image. Wikipedia Commons. Accessed September 4, 2010. http://commons.wikimedia.org/wiki/File:100_Afghanis_%281963_-_top%29.jpg. Apodaca, Kenneth. "Beggar." Digital image. Vidi's Flickr Photstream. Accessed September 4, 2010. http://www.flickr.com/photos/kda73/2270253382/. "AtomicWar0201." Digital image. Wikipedia Commons. Accessed September 4, 2010. http://commons.wikimedia.org/wiki/File:AtomicWar0201.jpg. Boone, Jon. "Taliban Stalls Key Hydroelectric Turbine Project in Afghanistan." The Guardian. December 13, 2009. Accessed September 04, 2010. http://www.guardian.co.uk/world/2009/dec/13/afghanistan-turbine-taliban-british-army. Cullather, Nick. "Damming Afghanistan: Modernization in a Buffer State." The History Cooperative. Accessed September 04, 2010. http://www.historycooperative.org/cgi-bin/justtop.cgi?act=justtop&url=http://www.historycooperative.org/journals/jah/89.2/cullather.html. Dupree, Nancy. 49-58. Dupree Collection, Williams Afghan Media Project, Williams College, Williamstown, MA. Dupree, Nancy. 80-565. Dupree Collection, Williams Afghan Media Project, Williams College, Williamstown, MA. Dupree, Nancy. 84-16. Dupree Collection, Williams Afghan Media Project, Williams College, Williamstown, MA. Dupree, Nancy. A69-562. Dupree Collection, Williams Afghan Media Project, Williams College, Williamstown, MA. Dupree, Nancy. A69-565. Dupree Collection, Williams Afghan Media Project, Williams College, Williamstown, MA. Inauguration of the Band-I-Ghazi Dam. Khalilullah Enayat Seraj Collection, Williams Afghan Media Project, Williams College, Williamstown, MA. ISAF, and U.S. Navy Petty Officer 1st Class Monica R. Nelson. "090415-N-6651N-003." Digital image. Isafmedia's Flickr Photostream. Accessed September 4, 2010. http://www.flickr.com/photos/isafmedia/3455510738/. Kelly, Jim. "City Center." Digital image. Pthread's Flickr Photostream. Accessed September 4, 2010. http://www.flickr.com/photos/pthread/4061483812/. Qeran, Baba. Naghne Danbora. Radio-Television Afghanistan Archive. "Save Me From My Friends!" Digital image. Afghanistan Old Photos. Accessed September 4, 2010. http://www.afghanistan-photos.com/. "Shah & Harry Truman." Digital image. Wikipedia Commons. Accessed September 4, 2010. http://commons.wikimedia.org/wiki/File:Shah_&_Harry_Truman.jpg. United States Army. "AfghanistanHelmandKajakaiDamm." Digital image. Wikipedia Commons. Accessed September 4, 2010. http://commons.wikimedia.org/wiki/File:AfghanistanHelmandKajakaiDamm.jpg. U.S. Air Force, and Tech Sgt. Efren Lopez. "091103-F-9171L-074." Digital image. Isafmedia's Flickr Photostream. Accessed September 4, 2010. http://www.flickr.com/photos/isafmedia/4085601238/. U.S. Army, Sgt Russell Gilchrest, and ISAF. "100328-A-6225G-005 (Convoy of Trucks)." Digital image. Isafmedia's Flickr Photostream. Accessed September 4, 2010. http://www.flickr.com/photos/isafmedia/4492489523/. U.S. Marine Corps, and Lance Cpl. Chad J. Pulliam. "Third Turbine, Kajaki Dam." Digital image. Defenseimagery.mil. Accessed September 4, 2010. www.defenseimagery.mil/imagery.html#a=search&s=turbine afghanistan&p=2&guid=8f11ec0c8da4edda3ebbd2376a30bab8ffaefa42. U.S. Military. "Overview of Helmand River." Digital image. Wikipedia Commons. Accessed September 4, 2010. http://commons.wikimedia.org/wiki/File:Overview_of_Helmand_River.jpg. USAID Afghanistan. "Kajaki 2." Digital image. USAID Afghanistan's Flickr Photostream. Accessed September 4, 2010. http://www.flickr.com/photos/usaidafghanistan/4501645133/. Varhegyi, TSGT Jim. "Rumsfeld October 2001." Digital image. Defenseimagery.mil. Accessed September 4, 2010. .
Waezi, Fardin, and UNAMA. "Environmental Pollution." Digital image. UNAMA's Flickr Photostream. Accessed January/February, 2010. www.flickr.com/photos/unama/4166191388/in/photostream/. What is the relationship between intentions and consequences? Can we ever really know what our actions will bring? In the 1950s, the United States built a dam in the Helmand Valley of Afghanistan. Sixty years later, the project has been a source of terrorism, environmental damage, and the proliferation of opium. In the early 20th century, Afghanistan knew that it was politically essential to develop its infrastructure. Without doing so, the country risked economic and political isolation, not to mention an alienated public. When he took power, King Zahir Shah set his sights on building modern infrastructure. By the 1950s, the United States was in the midst of the Cold War with the Soviet Union. The two superpowers wanted to win the hearts and minds of people all over the globe in order to guarantee the interests of their own people. Like the Great Game, the Cold War was fought on the soils of other nations. The US began to court the region’s affections. Afghanistan’s central location in Asia and its proximity to the Soviet Union made it ideal for American interests. King Zahir Shah was also eager to invite the Americans to develop his country. In the 20th century the Cold War was played out through development projects, through modernization schemes, through dams, hydroelectric power, other ways in which the West, the U.S. in particular, and the Soviet Union tried to demonstrate their superiority and to gain the allegiance and affection of the Afghan people because of what they could do for them in terms of making their country more progressive, more modern, wealthier. 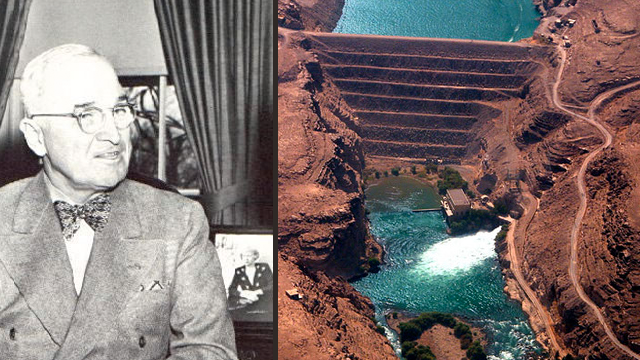 Under President Harry Truman, the US began one of the largest and most expensive development projects in history with the Kajaki (Kajak-eye) Dam project on the Helmand River. The project continued well into the 70s when two additional turbines were added. But the project failed to bring the irrigation it had promised. Only a third of the promised land was irrigated and many crops soon failed because of changes in the environment. The project also disrupted the original water pathways between Afghanistan and Iran. When the Soviets invaded Afghanistan in 1979, the project was abandoned entirely. After the US toppled the Taliban in 2001, the Americans resumed work on the project in a continued effort to win the hearts of the Afghan people. But by now, the situation in Afghanistan had changed. Opium had taken over the Helmand Valley, in part because the dam had changed the salinity of the soil, making it perfect for poppy cultivation. And Helmand had become a stronghold of the Taliban’s. After a massive effort, NATO forces successfully brought a third turbine to the dam in 2008, but they have not been able to install it due to continued attacks from insurgents. The Taliban have set their sights on destroying the dam. Today Afghantistan suffers a 70% unemployment rate, and that makes opium and violence all the more attractive to people. The country is in need of economic resources now more than ever. It’s hard to know whether large development projects like Kajaki are really the way to go. The unintended consequences of foreign aid can sometimes spiral out of control. Moreover, it may be that development projects run the risk of alienating people from their own sense of worth and sovereignty. Well, I think the Afghans have always been aware of themselves as a great people in a small nation. And they resent the idea that they can be used as pawns in other great power schemes and great power conflicts And it’s always been a running theme in Afghan history that the Afghan sense of nobility, the Afghan sense of their own substantial aspect, their substantial quality as a people, has always run into conflict with their relative lack of strength, their dependence on other nations, in particular the way in which the Afghan state has always been dependent on revenues from Great Britain and now the United States, has collided with that sense of their own autonomy and independence. But there is hope for economic growth in Afghanistan. And that hope is related in part to infrastructure. One of the more interesting developments is that Iran allowed India to build a road connecting one of their Persian Gulf ports to the Afghan border. Now really for the first time in history you can send goods by sea to Afghanistan via Iran as opposed to Pakistan and Karachi. So the first time Afghanistan actually has alternatives to Pakistan and Karachi to transit its goods to the sea. So we’re seeing Afghanistan in an economic position where its traditional isolation needs to be rethought because given the proper economic development and security situations it could once again become a fairly wealthy country with more than enough resources to support its own people if some are or all of these projects were put into action. New wealth has begun to produce an affluent class in Kabul. But, as in many places, that affluence has driven up the cost of living without in fact spreading wealth to other pockets of the country. The question that few seem to be asking is whether development is really the holy grail that everyone seeks. In a country with many different lifestyles all intersecting at once, it’s hard to know what development should really look like. The best of intentions can go wrong, to be sure, but they can also go right. And it will be up to the new generations to decide how to transcend the paradox of development. Under President Truman, the U.S. began one of its most expensive development projects: the Helmand Dam in Afghanistan. It provided the needed infrastructure to build the local economy. Sixty years later, it also became a source of terrorism, environmental damage, and the proliferation of opium. The Great Game: Who's Playing Whom?